I arrived home on Friday afternoon to find a ham bone in the fridge, defrosting. It was the leftovers from Christmas, and Country Boy had decided that it was taking up too much valuable real estate in the freezer and had to go. With cupboard and freezer space at a premium around here, anything that sits there for too long, get given its marching orders. At the same time he found a bag of frozen corn kernels that had ripped slightly. 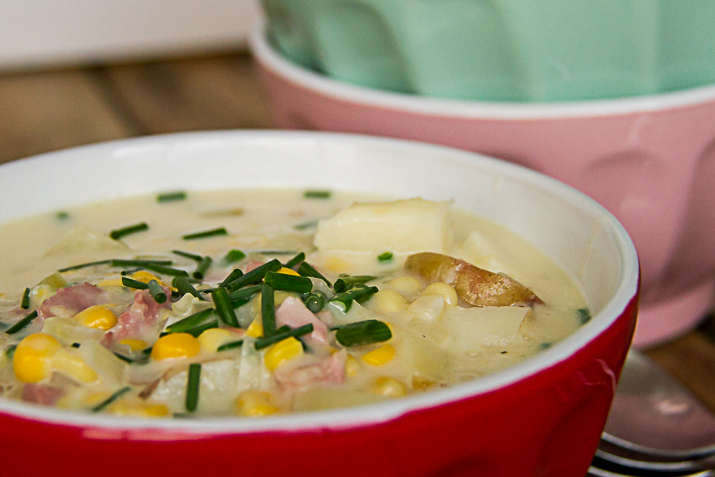 Feeling inspired by the ham and corn, and the cold weather I whipped up a chowder . It was eaten out of bowls on our laps, in front of the fire, while watching a movie together as a family. Really, is there a better way to spend a Saturday night?? Finely dice the celery, onion, and garlic. In a heavy based saucepan, melt the butter. Cook the celery, onion, and garlic gently for 10 minutes or until transparent. Bring the soup to the simmer. Add the bay leaves. Add the potatoes to the soup and cook for 10 minutes or until almost tender. Add in the leg ham, corn, and cream. Stir and allow the mixture to heat. 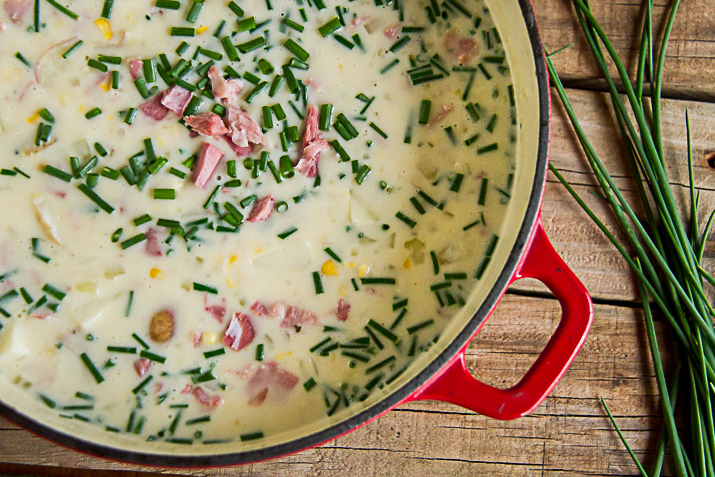 Just before serving, stir through the chives, and season to taste. The chowder was creamy and savoury with sweet bursts when you bit into the corn. I may or may not have eaten too much. Is your Christmas ham still in the freezer? Is freezer space valuable real estate in your home? What is your favourite way to spend Saturday night? 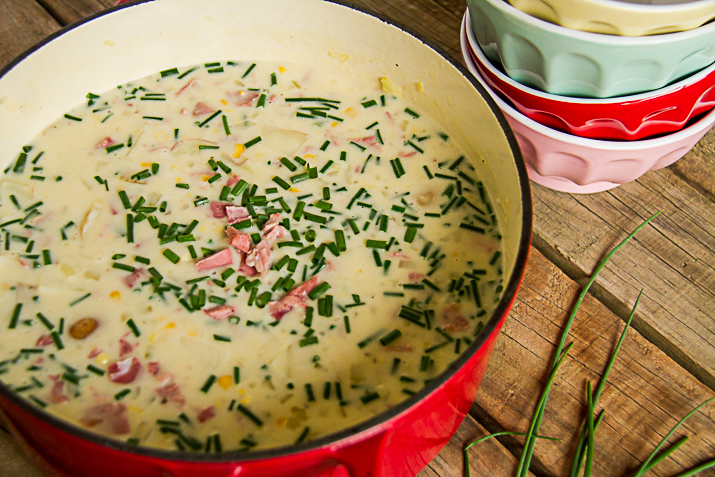 Don't you love those random freezer finds – this looks like a great winter warmer recipe. That looks altogether yummy. I have printed off the recipe to try very soon. Thanks for sharing!